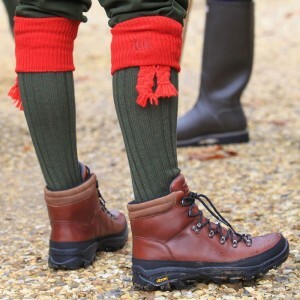 Home Clothing Hunter Balmoral Boots 2013 – Not your Normal Welly! 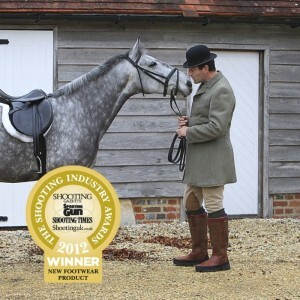 Hunter Balmoral Boots 2013 – Not your Normal Welly! Along with the conventional, and well known, Hunter wellington boot, Hunter also have boots which offer similar functionality, but are a little easier on the eye. We’re talking ankle height, hiking boots and luxury leather finishes. There is no compromise in quality, these boots offer high technical specification such as Sympatex lining and an all terrain Vibram sole. They do all this while still resonating the sleek Hunter brand. These boots are famed for their performance and durability, you will not only fall in love with the design, but also the comfort! the contoured insole also boasts a reinforced instep and energy rebound shock absorbing pads in the heel and forepart, not a chance your feet will be aching after wearing these! Ingeniously, the Balmoral Hawksworth is specifically designed to offer excellent traction and to release mud through its integration of a unique multi-layer out-sole and multi-directional cleats. A mud guard barrier promises ‘tank-like’ protection against wear and tear, these boots are definitely designed to last. After being awarded the New Footwear Product of the Year at the IPC Shooting Awards, The Hunter Balmoral Hawksworth is certainly the boot to watch out for! Carefully created especially for women, the Hunter Balmoral Westerley Boot (pictured below) are contoured to cushion your leg and foot, while providing that all essential ankle padding. They come with two insoles, a 3mm and a 6mm, so you can adapt the shock absorption levels depending on terrain and seasonal requirements- a boot can never be too cushioned in my opinion! They boast a Vibram sole, the world leader in high performance outsoles, providing first-rate grip and durability – these boots will be your trusty companion for a long time to come. 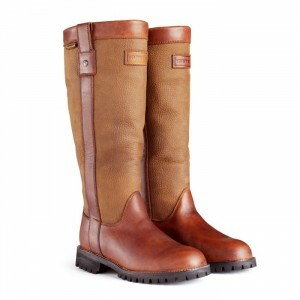 Water will glide straight off the tumbled and smooth grain leather; the Sympatex lining will also supply outstanding waterproof protection, whilst retaining breathable comfort. Exceptionally comfortable, luxury leather and a sleek hunter silhouette, the Westerley Womens Boot will not disappoint in the style stakes. Last, but not least, the Hunter Balmoral Rossdale is a classic hiking style boot, which is smart but retains functionality. Let’s face it, hikers need a pair of boots they can wear for very long periods of time, boots that serve to keep you comfortable as well as offering sturdiness and durability. Look no further than the Balmoral Rossdale, not only do they encompass all of the previously discussed high spec technology, the sole is top of the range Vibram Grivola, which boasts engraved lugs for traction, an open design for self cleaning, a high profile mid-sole for protection, a toe-bumper for fortification and grip, an undercut heel for braking and reinforced rear lugs for durability. 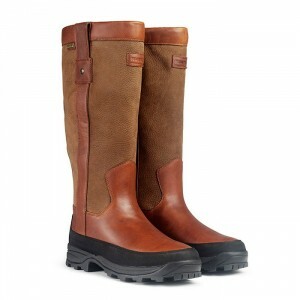 Balmoral Hiking boots, Balmoral Lady, hunter, Hunter Balmoral Hawksworth, Hunter Balmoral Rossdale, Hunter Balmoral Westerley, Hunter Leather boots, Hunter Leather wellington boots, Hunter wellington boots, Leather wellington boots, Vibram Grivola sole. Bookmark.